Recent Arrival! * Local Trade *, * Low Miles *, * Purchased & Serviced At Dreyer & Reinbold *, * All Wheel Drive *, Exterior Parking Camera Rear, EyeSight, EyeSight System, Radio: Subaru STARLINK 6.5" Multimedia System. 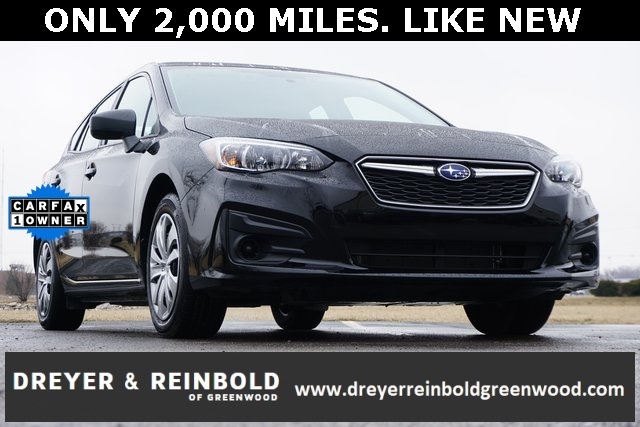 2019 Subaru Impreza 2.0i Black CARFAX One-Owner. Clean CARFAX.